Includes unlimited streaming of Intermediate State via the free Bandcamp app, plus high-quality download in MP3, FLAC and more. 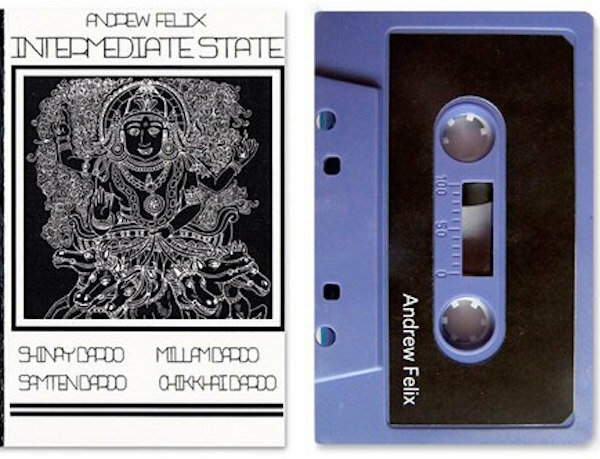 Andrew Felix bridges into experimental sounds and bizarre noises with smashing beats and electronics. Intermediate State is an eerie release of psychodelica. The album moves in trance like waves, a total mind numbing experience and pure fucken bliss. 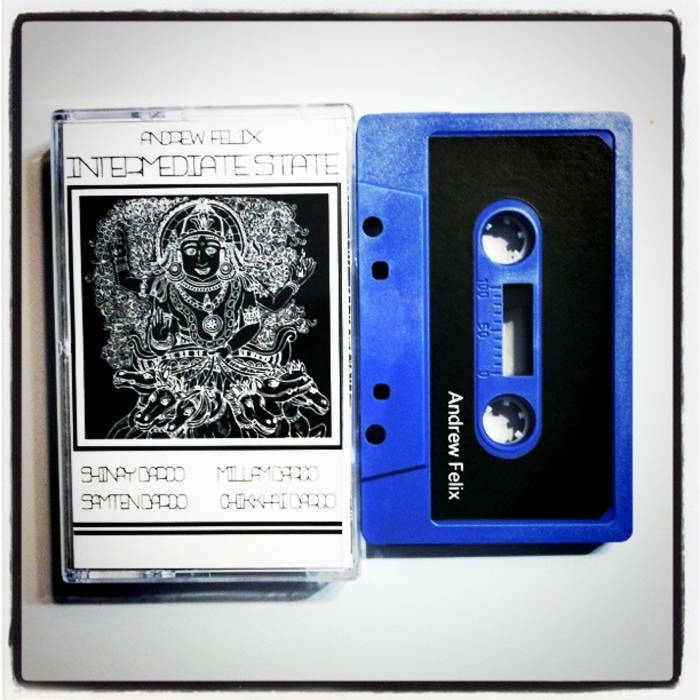 Limited to 32 chrome purple tapes. Art: Intermediate State is a reference to the Bardo of Tibetan Buddhism. The image on the cover is inspired by this. Although there are 6 bardo's, this release covers four of them. The artwork was very simple, the motif on the cover along with track titles. The cassettes themselves were purple. Despite the photo we took of the product, which appears blue, these cassettes are purple. I assure you of that. I was playing around with some silly Instragram filter and for some reason only took like 2 photos of this release. This was way back when Instagram was just beginning (you may be too young to remember that) so I wasn't well versed on it, however since the iPhone was my best camera at the time, and Instagram created a square photo, it all worked out well for the time. So here we are with purple tapes and black labels reaffirming the artist's name and album title. We put that all together and you have the tape.